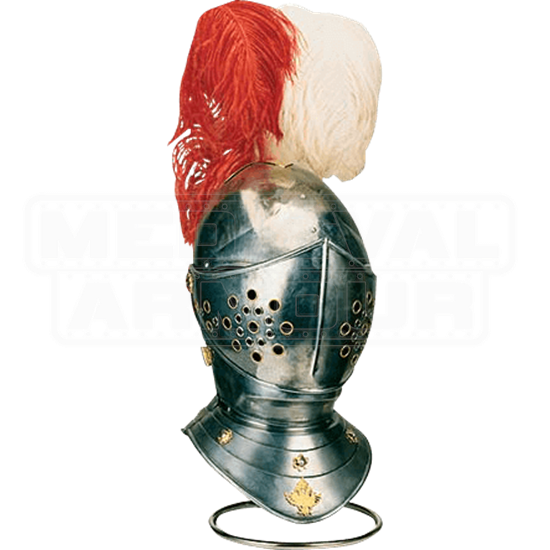 The Spanish Horse Helmet by Marto is a replica reproduction of helmets used by mounted knights in the 16th century, during the reign of Charles V and Philip II, what is today a part of the collection of the Real Armeria (Royal Armory) in Madrid. The Spanish Horse Helmet is made of steel and characterized by a large beak shaped visor that covers the face entirely leaving only the two eye-slits. 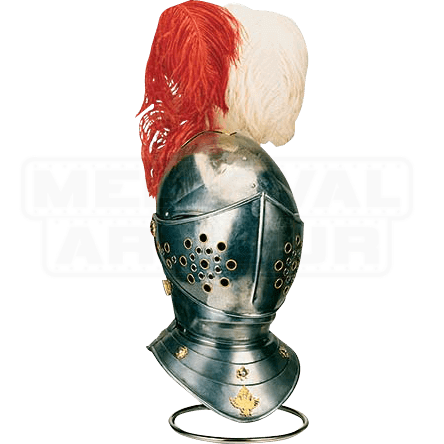 Without excessive decoration, this helm is more indicative of the actual design that a rank-and-file soldier might have donned for parade or dress.